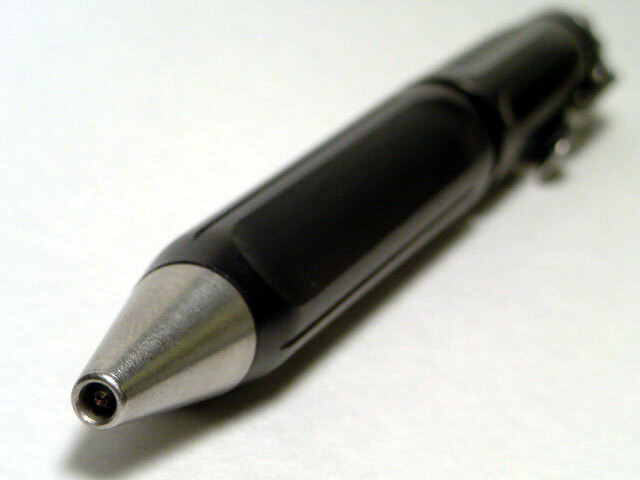 SUREFIRE pen / knife / clothing...etc. 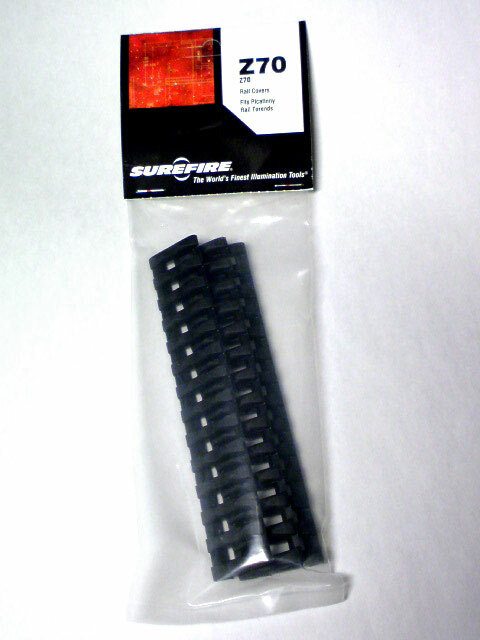 tough enough to provide you with a tactical advantage in an emergency. 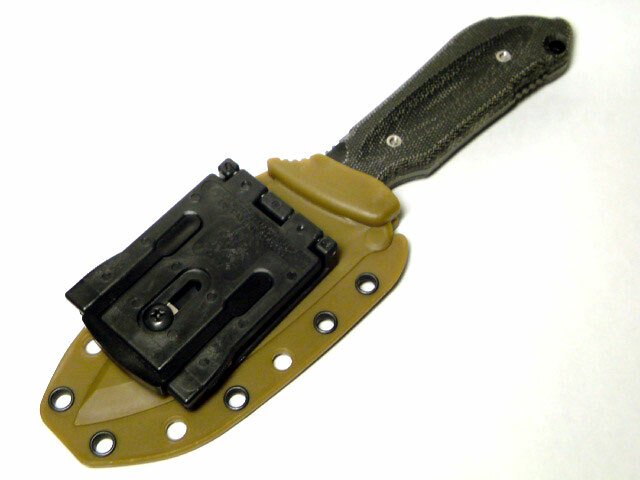 The Echo was designed to the specification of elite special warfare personnel to function as a combat/utility knife in battlefield conditions, including combat swimmer operations. Its serrations and asymmetrical grind planes create a sleek blade with a thick, tough spear point that doesn't compromise its cutting geometry. 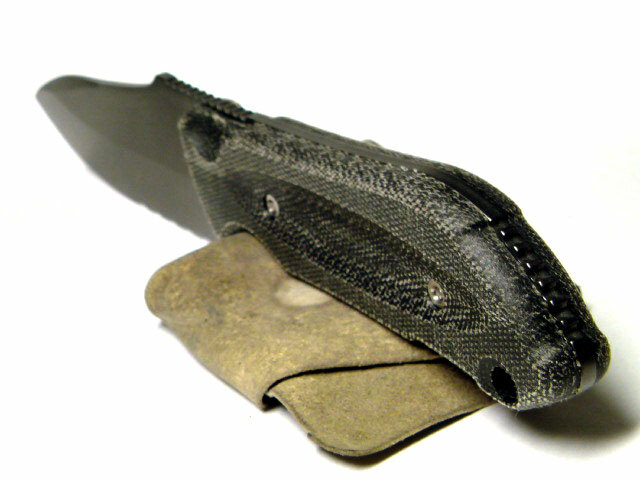 Made from carbon steel, its blade is coated with a layer of rust-proofing to help protect it from corrosion that can quickly take a toll on a knife. 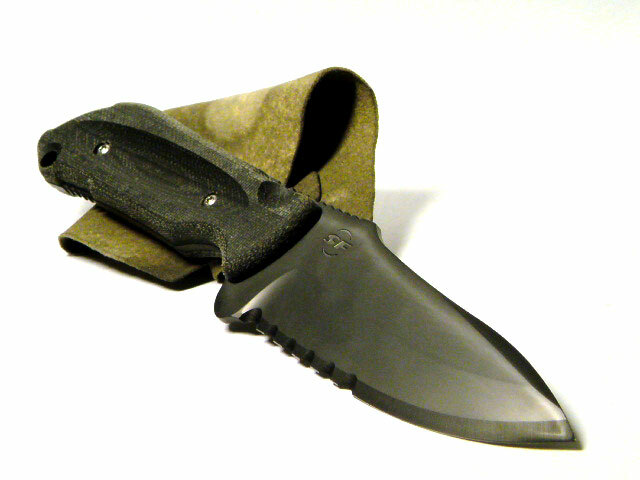 Its ergonomically designed Micarta™ handle covers a cutaway steel frame (to reduce weight) and enables a secure grip in even the wettest conditions. 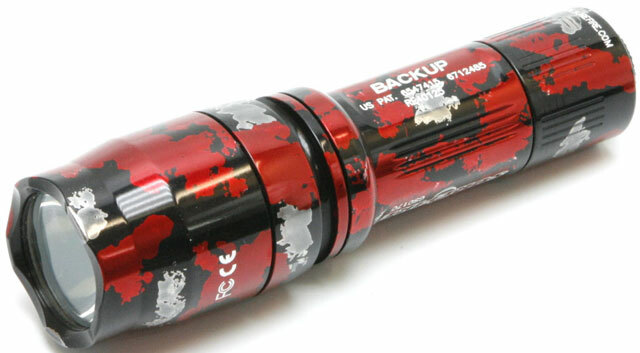 An injection-molded sheath—with integrated DMT diamond sharpener—holds the Echo securely in place when not in use. 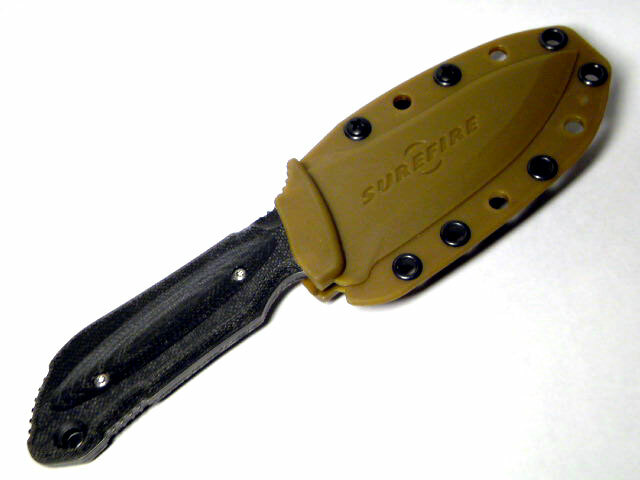 ・CRUCIBLE CPM® 3V® STEEL BLADE for strength and superior edge retention. 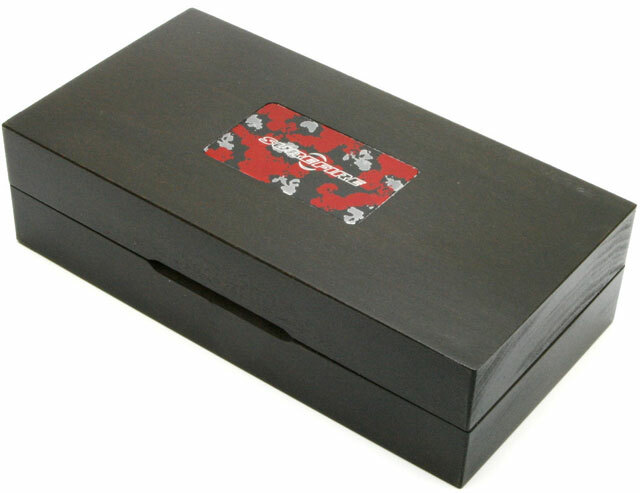 Coated with rust-proofing to resist corrosion. 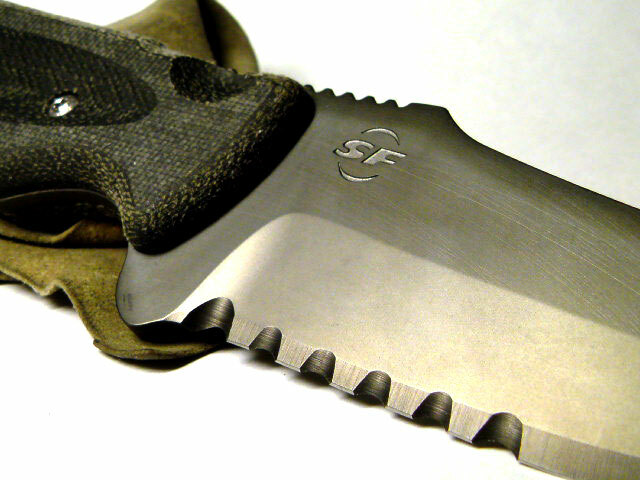 ・SERRATED BLADE AND ASYMMETRICAL GRIND PLANES create a sleek, efficient blade. 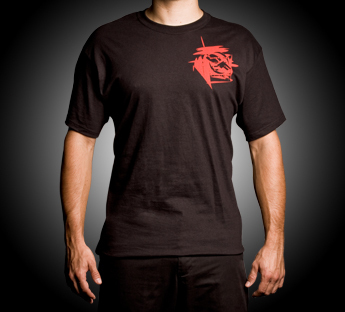 ・CUTAWAY FRAME reduces weight without sacrificing strength. 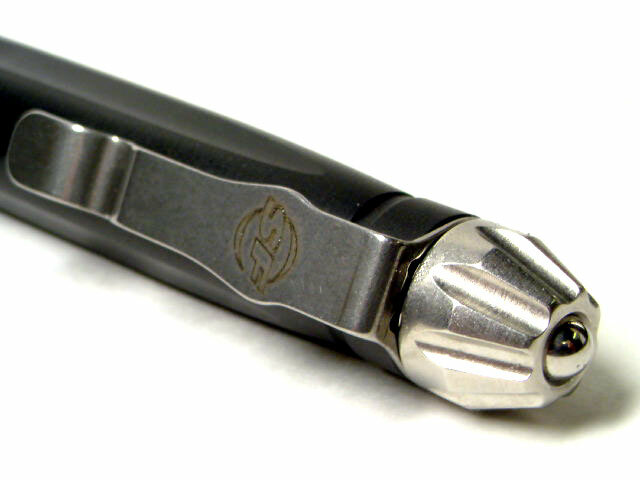 ・ERGONOMIC MICARTA™ HANDLE allows for a secure, comfortable grip in wet conditions. 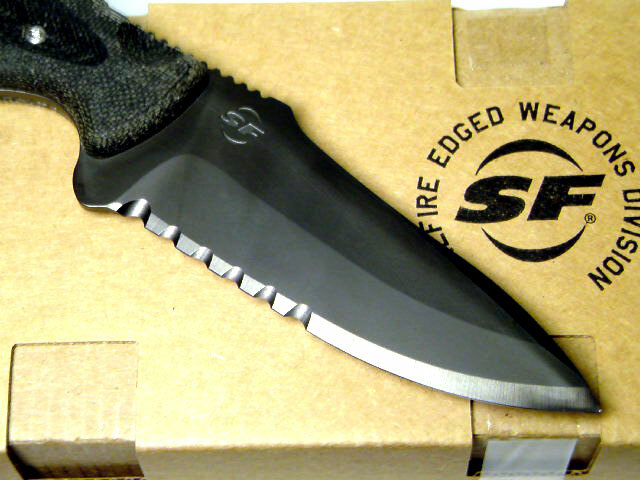 ・INJECTION-MOLDED SHEATH holds knife securely in place when not in use — integrated DMT diamond sharpener. 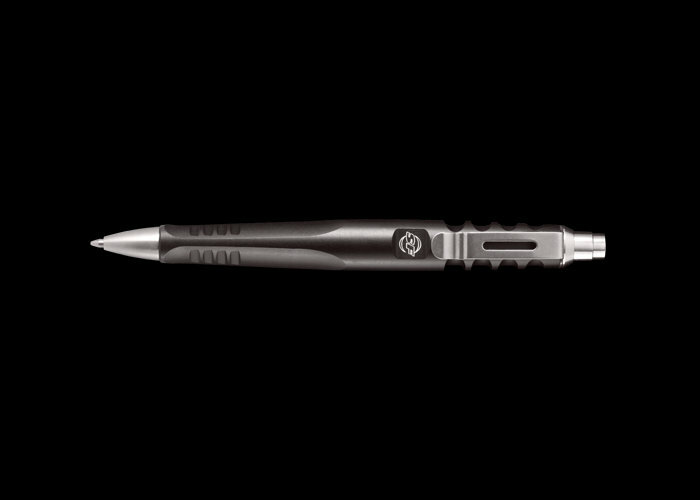 The SureFire™ Pen is a new addition to the ever-growing SureFire family—and it fits in perfectly. 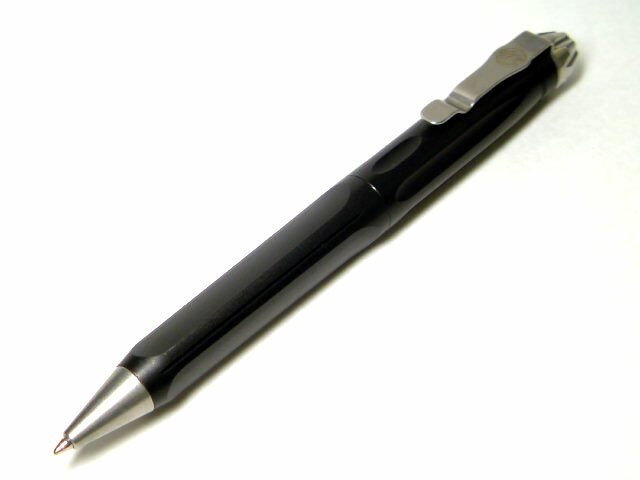 It boasts a rugged aerospace-grade aluminum body that's Mil-Spec Type III hard anodized like many of its brothers; and it's perfectly balanced for writing. 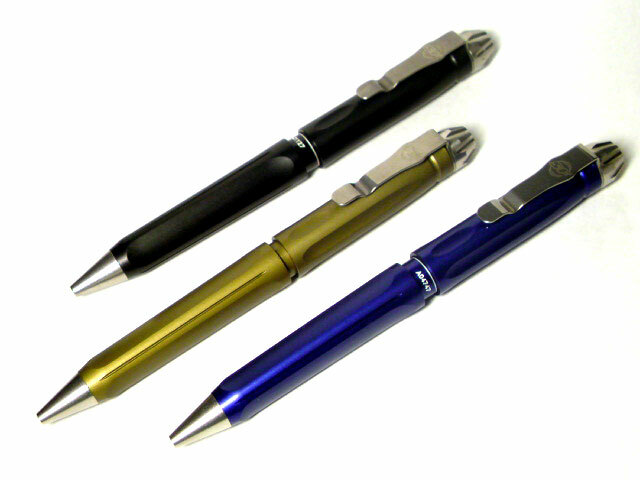 This bold, retractable SureFire Pen is appointed with virtually indestructible, tumbled-polished stainless steel on the tip, pocket clip, and the tailcap which features a smooth, rounded window breaker that's always ready for emergency use and won't snag clothing. And it writes like a dream. 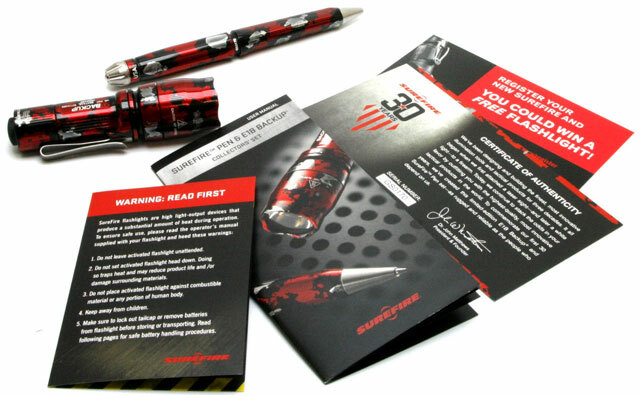 The SureFire Pen comes standard with a high-performance Schmidt® Technology easyFLOW ink cartridge, which is all about performance, but the pen is fully adjustable too; you can use nearly any ink cartridge (between 3.875 and 4.25" long) with a simple adjustment. 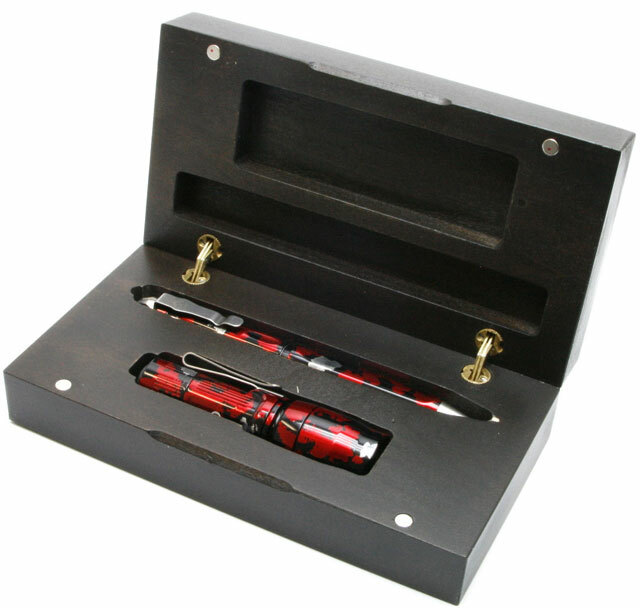 Smooth writing performance, elegant yet bold design, and it breaks glass in an emergency. 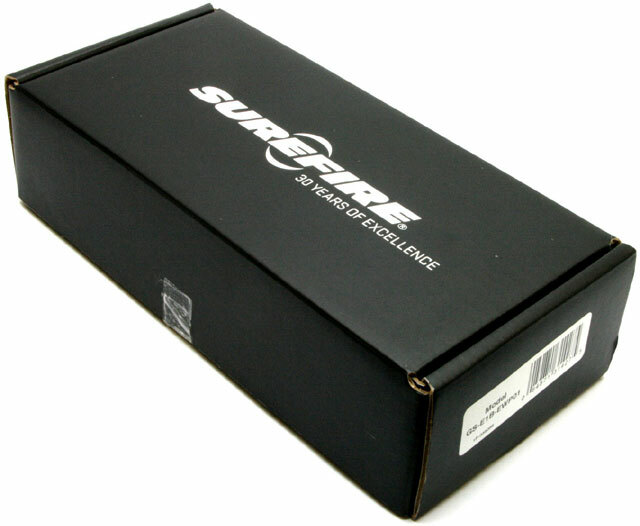 What more could you want from this latest member of the SureFire family? 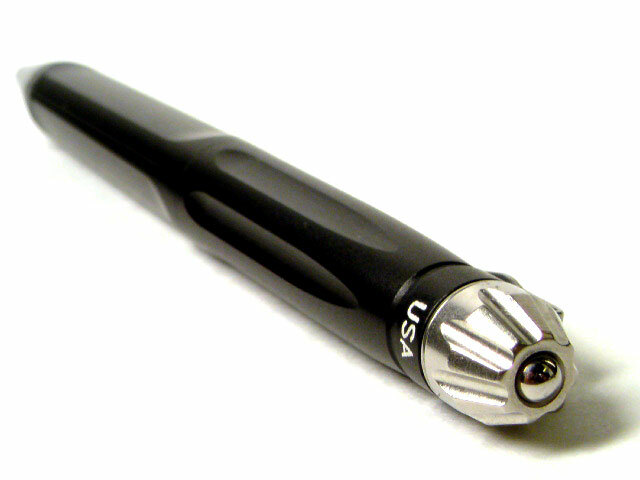 about performance, but the pen is fully adjustable too; you can use nearly any ink cartridge (between 3.875 and 4.25" long) with a simple adjustment. 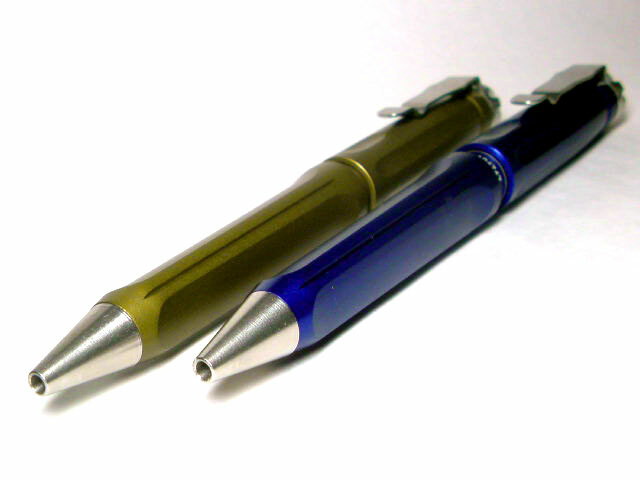 Smooth writing performance, elegant yet bold design, and it breaks glass in an emergency. 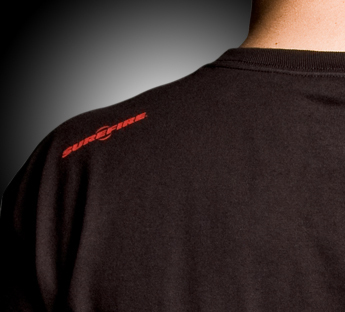 What more could you want from this latest member of the SureFire family? 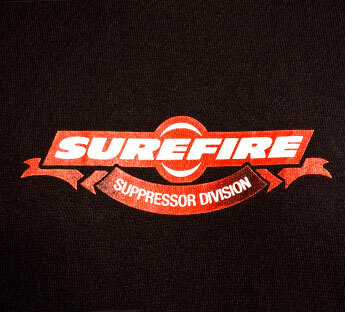 The SF Suppressor t-shirt is silent and deadly—thanks to our pin-up girl who's drop-dead gorgeous. 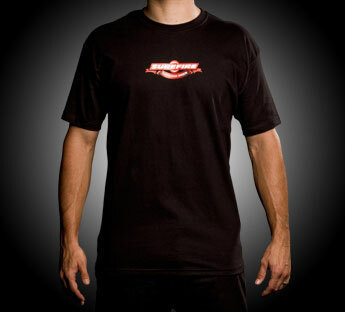 Black tagless 100% cotton Hanes® t-shirt. 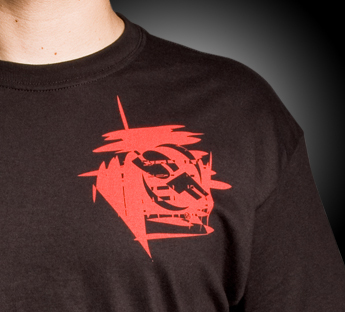 The SF Splash t-shirt has a bold, modern design with just the right amount of SureFire attitude. 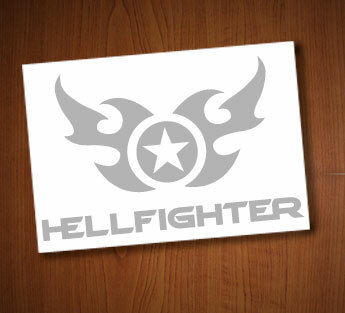 It lets the world know you're only interested in the best. 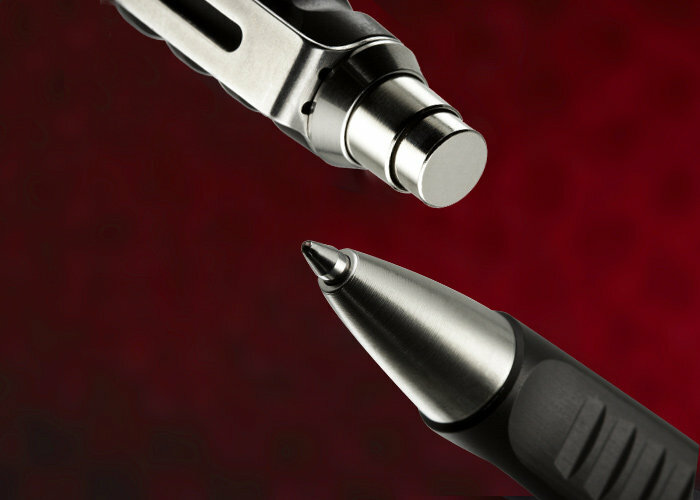 The SureFire Pen™ is a new addition to the ever-growing SureFirefamily—and it fits in perfectly. 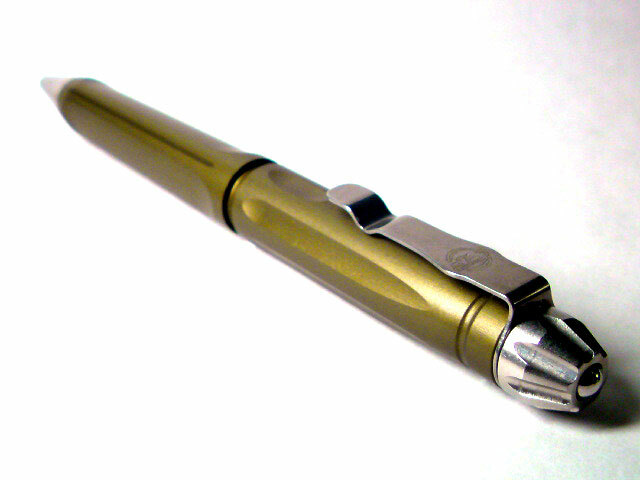 It boasts a rugged aerospace-grade aluminum body that's Mil-Spec Type III hard anodized like many of its brothers; and it's perfectly balanced for writing. 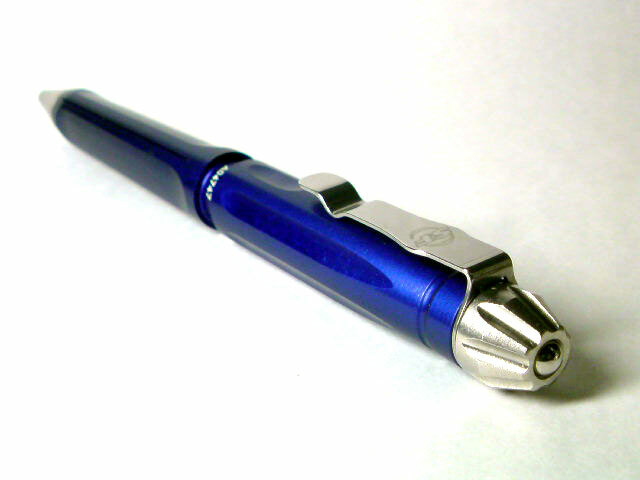 This bold, retractable SureFire Pen is appointed with virtually indestructible, tumbled-polished stainless steel on the tip, pocket clip, and the tailcap which features a smooth, rounded window breaker that's always ready for emergency use and won’t snag clothing. And it writes like a dream. The SureFire Pen comes standard with a high-performance Schmidt® Technology easyFLOW ink cartridge, which is all about performance, but the pen is fully adjustable too; you can use nearly any ink cartridge (between 3.875 and 4.25" long) with a simple adjustment. 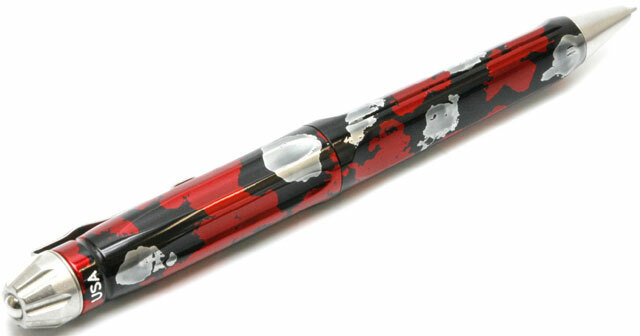 Smooth writing performance, elegant yet bold design, and it breaks glass in an emergency. 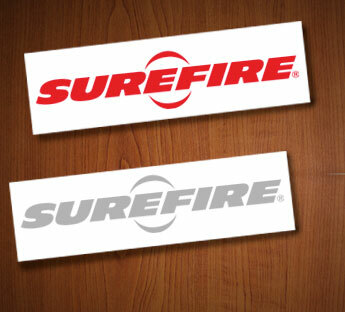 What more could you want from this latest member of the SureFire family?